For 2019, Avalon Waterways has packaged Ganges River cruises in several itineraries. For the cruise portion, guests board the 56-passenger Ganges Voyager for a six-day, roundtrip cruise from Kolkata. The cruise heads north from Kolkata to visit Kalna, where passengers will take a rickshaw ride to the historic terracotta temple complex, and smaller villages where they will observe brass-making, saree weaving and idol making. Avalon will also offer a visit to a farmer’s home and to a rescue shelter for cows, in addition to the region’s stately sites, such as the Hare Krishna centre in Mayapur. 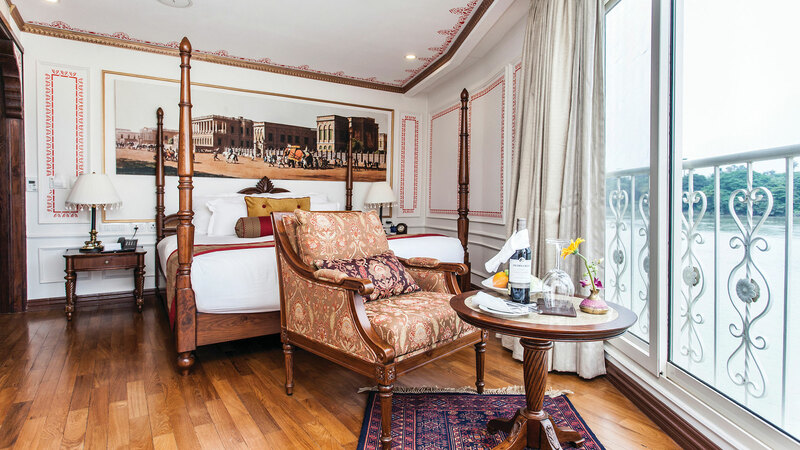 The Ganges Voyager is an all-suite vessel with accommodations ranging from the 260-square-foot deluxe suite to the 400-square-foot Maharaja suite. There is air conditioning throughout, a lounge and bar, a restaurant, gym, two spa treatment rooms and a partially shaded observation deck. Avalon joins a handful of other river cruise companies and tour operators that have begun offering Ganges River cruises in recent years. Uniworld Boutique River Cruise Collection launched its Ganges program in 2016, and G Adventures started selling Gange’s cruises in 2015. After the challenges the river cruise industry faced in 2016, it was hard to tell whether the once-booming travel style had lost its momentum entirely or was merely suffering a temporary setback. Towards the end of last year, however, it appeared river cruising was on the rebound, with the lines reporting a robust return of Europe bookings – a trend that appears to have continued into early 2017. But one indicator that river cruising really never lost its groove is an annual Travel Leaders Group survey ranking European river cruises as the top international luxury “destination” outside North America being booked by affluent travelers for 2017. Indeed, river cruises beat out Italy, Mediterranean cruises, Australia, France, England, Baltic cruises, Ireland and Bora Bora for the top spot. River cruises also ranked No. 1 for lead luxury travel destination in this same survey last year. So despite a “challenging” 2016, river cruising doesn’t appear to have slipped in comparison to other vacation options. Not only that, but according to the 1,689 U.S.-based travel agents who responded to the Travel Leaders Group survey, their upscale river cruise business wasn’t hit all that hard in 2016. Some 36% of Travel Leaders agents reported an increase in luxury river cruise bookings in 2016 compared to 2015, and 46% said their luxe river business was on par with 2015. So, for those wondering if the river cruise boom is still on, there is some evidence suggesting that it never really was off. River cruise suppliers should “learn from the mistakes” of their ocean cruise counterparts to grow trade and consumer awareness, delegates at the Clia River Cruise Conference in Amsterdam were told. Giles Hawke, chief executive of Avalon Waterways and Cosmos Tours, said he believed river cruising was currently 10 years behind ocean cruising in terms of marketing and awareness, but could reach a similar level within five years. “There is a huge opportunity for river cruise as a sector to absolutely catch up with ocean cruise,” he said. “We can learn so much from what the ocean cruise lines have done. They have, just because of their scale and size, been able to invest a lot of money and make mistakes and learn things. “The river cruise lines can then continue to learn very quickly the aspects which have worked for ocean cruises and those which haven’t. The inaugural River Cruise Excellence awards were held on Saturday on the Tauck Grace. Winner of the river ambassador of the year award, Margaret McCorriston, a homeworker for Iglu and Planet Cruise, agreed the suppliers needed to communicate their differences clearly to agents. “I love river cruising and enjoy selling it to my customers but there are challenges we must face to help the sector grow. “The main challenges are differentiating between the brands and this is crucial for attracting more customers but also agents to be able to sell to customers.